Euro formed an ascending impulse and right now the market is correcting it. 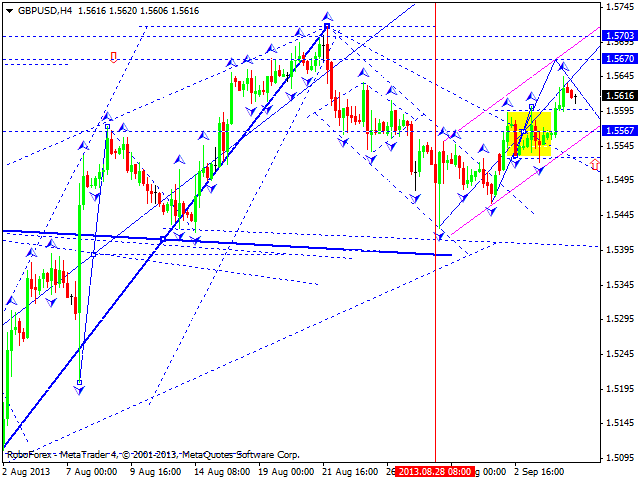 We think, today the price may continue moving upwards to reach the target at 1.3600. An alternative scenario implies that the pair may break the level of 1.3140 and then start a descending correction towards the level of 1.300. Pound is still moving upwards. We think, today the price may fall down a little bit towards the level of 1.5595 and then continue growing up to reach the local target of this ascending structure at 1.5670. Later, in our opinion, the pair may form a correction to return to the level of 1.5580 and then complete this wave by reaching the target at 1.5700. After that, the price may start a new correction. Franc continues growing up. We think, today the price may reach the level of 0.9400 and then form a reversal structure for a new descending movement towards the target at 0.9110. 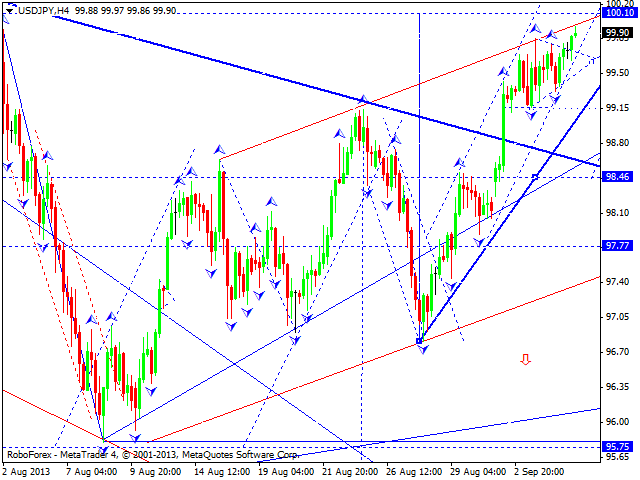 The USD/JPY currency pair broke its consolidation channel upwards. We think, today the price may reach the level of 100.00 and then start a fast descending movement towards the level of 98.50, at least, or even 97.80. 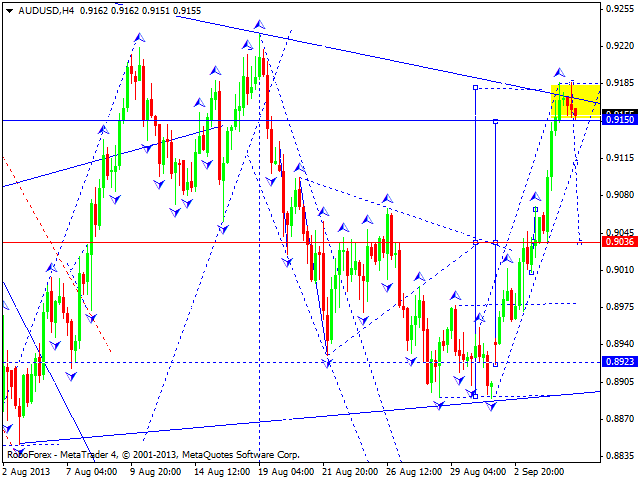 Australian Dollar completed an ascending structure. 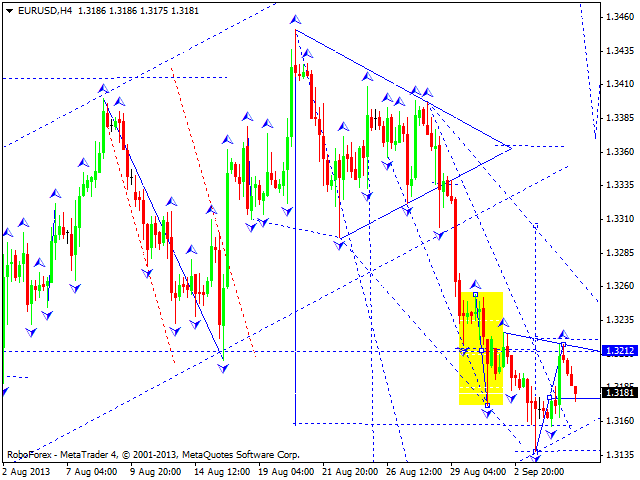 We think, today the price may start a new descending structure towards triangle’s lower border. The target is at 0.8920. 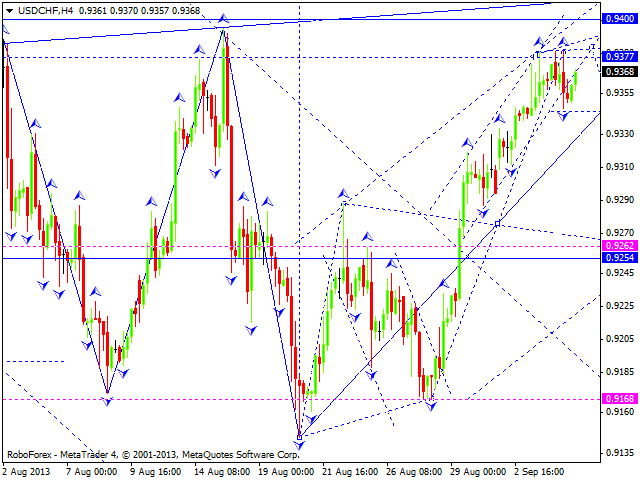 Later, in our opinion, the pair may form a consolidation channel, break it downwards, and reach the level of 0.8800. 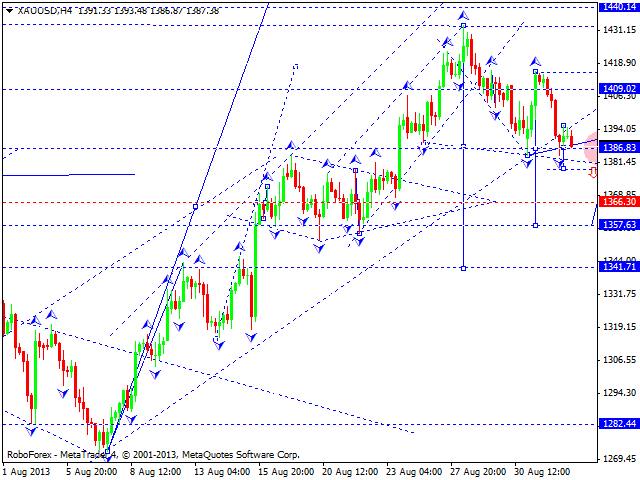 Gold continues forming a descending structure, the third wave of this correction. We think, today the price may form a consolidation channel near the level of 1386 and then fall down towards the local target at 1357. Later, in our opinion, the instrument return to the level of 1386 to test it from below, move downwards to reach the level of 1341, and then start a new ascending movement towards the target at 1455.